Marvel Studios has released a Super Bowl spot and first clip for their upcoming Captain Marvel featuring Carol Danvers in action. 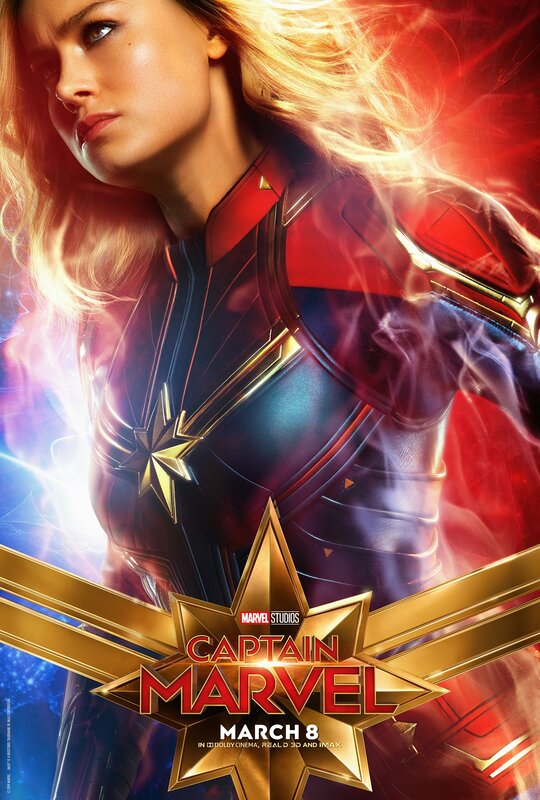 Captain Marvel follows Carol Danvers (Brie Larson) as she becomes one of the universe’s most powerful heroes when Earth is caught in the middle of a galactic war between two alien races. Set in the 1990s, the film is an all-new adventure from a previously unseen period in the history of the Marvel Cinematic Universe. Marvel Studios’ Captain Marvel is directed by the writing/directing team of Anna Boden and Ryan Fleck, whose credits include Mississippi Grind and Half Nelson. An all-star collective of accomplished writers penned the screenplay, including Meg LeFauve (Inside Out), Nicole Perlman (Guardians of the Galaxy), Geneva Robertson-Dworet (Tomb Raider), Liz Flahive & Carly Mensch (Glow) and Anna Boden & Ryan Fleck.